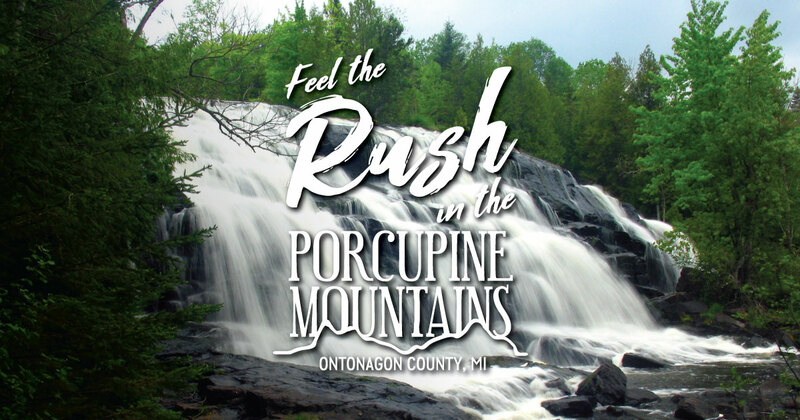 There are almost endless options for exploration in the Porcupine Mountains and Ontonagon County. Now, there’s a new guide to help you launch your next adventure—inside, you’ll find helpful maps, info on local lodging, recreational activities and much more. Order your free copy today! Inside our new guide, you’ll find a handy map of the western Upper Peninsula, complete with locations of waterfalls, Ontonagon County lodging properties, attractions and more. Discover wonderful waterfalls like Agate Falls, Bond Falls or the waterfalls on the Presque Isle River. Learn about the area’s vibrant mining history at attractions like Adventure Mine or Caledonia Copper Mine or find scenic overlooks at Copper Peak, Lake of the Clouds and Summit Peak. Visitors to the Porcupine Mountains and Ontonagon County will discover welcoming hotels, lodges and cabins. Whether you’re looking for a weeklong rustic stay on the shores of Lake Superior or a hotel with amenities perfect for a weekend getaway, you’ll find a perfect place to stay. Learn more about local lodging. Interested in hiking the boundless woods and forests of the Porcupine Mountains Wilderness State Park? Our guide provides great advice on what to bring and where to go on your next outdoor adventure in the state park. But there are other areas to explore, too: visitors can also find hiking opportunities in the Ottawa National Forest, the Black Harbor Recreation Area and the Sylvania Wilderness Area.